Computer desk and workstations are furniture pieces designed to provide comfortable working surfaces for equipment e.g. computers, cables, scanners, printers and other peripherals for both office and home users. They have become a necessity in homes around the world like the computers themselves, making it practically difficult to find an affordable desk that can serve its purpose and still look good in it. This is the reason people tend to work at the comfort of their homes because they offer maximum user efficiency. Both of the mentioned desks can be made from light teak wood, cherry wood, or oak wood. A desk that is not structurally sound can end up causing a few problems for both you and the computer. Old and used desks can give you a wider range of options than the newer designs in the market today, which are slim and have smaller designs. The features of a computer desk include a smaller working surface, an adjustable keyboard tray and sufficient space for handwriting. On the other hand, a workstation offers plenty of space for computers, working space, office essentials, shelves, and phones for easy access. This tends to increase productivity, mood, and confidence in an office environment. Most of the desks come with routing holes for cables and a monitor shelf. These channels are fixed at the back of the desk to provide a neat appearance. 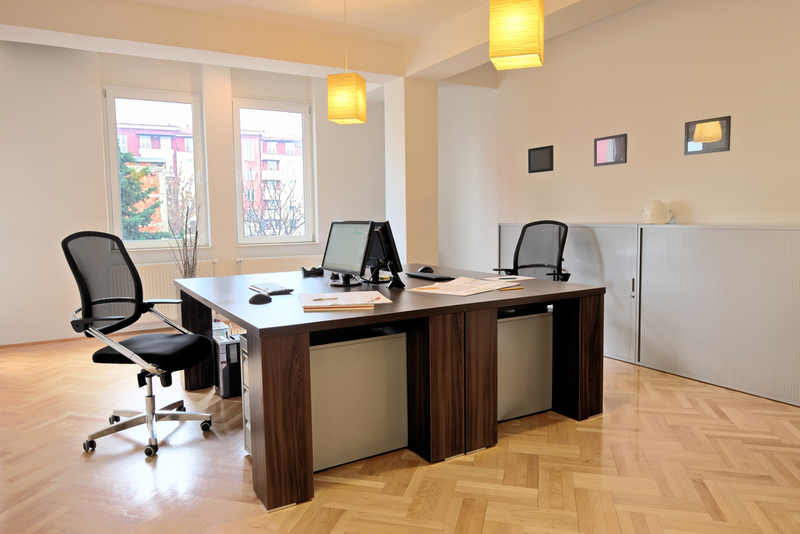 In addition, the desk uses the channels to camouflage the slightly cords that accompany every computer, printer, digital camera, scanner, and many more. Large-multi student desks are manufactured to house many computers while still having the capability to prevent theft, reduce vandalism, allow regular computer system maintenance, and still facilitate good wiring and ventilation. With modular computer tables, the user can separate interfaces elements from the computing network connections, giving more room for flexibility placement. Rolling chair tables offers mobility and improved accessibility where desks are not convenient. Small business owners, who are expanding at a fast and affordable rate, mostly use computer desks and workstations. This is because they allow multiple employees to work closely while still maintaining a private workspace. Most of these kinds of computer desks and work stations come with a variety of colors and are easily assembled as compared to a common desk, which require assembling depending on its manufacturer. It is better paying off the extra transportation fee for a completely constructed desk, rather than, paying for a new desk in case you damage yours in the assembling process if you are not a handy person.